HOMES on Lucerne Boulevard date back to the early 1900s. 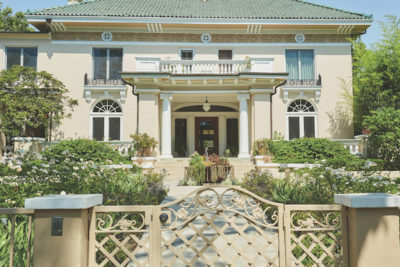 Six houses on South Lucerne Boulevard will be open during the Windsor Square — Hancock Park Historical Society Home Tour on Sun., Oct. 14 from 1 to 5 p.m. Admission to the fundraiser is $75; members $65. Students pay $25. Children under 12 are free. For reservations, go to wshphs.org. Everyone is welcome to join the Historical Society. Membership costs are $35 for an individual, and $50 for a couple. Events include a membership tea in the beginning of the year and holiday activities in December.